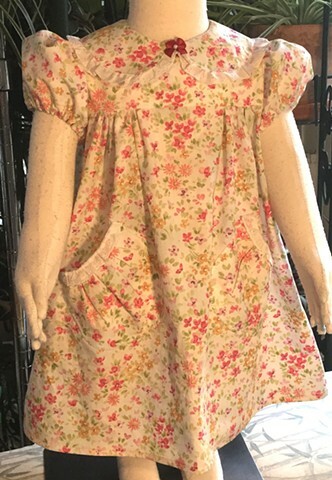 Beyond sweet, traditional waddling toddler dress made from high-quality imported smooth floral cotton in a multitude of colors with eyelet-edged round collar and curved pockets, little puffed sleeves. 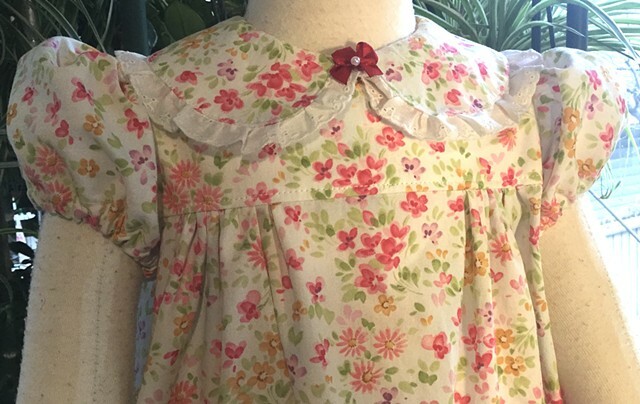 Couture details, closes all the way down the back with yellow buttons and topped off with cherry red bow with a pearl in the middle. 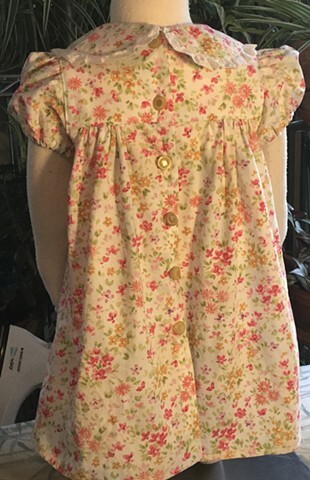 Size Toddler (1-2), measures 22” armhole to armhole, 17” shoulder to hem. $60, 100% cotton, made by the designer herself and shipped free to any address in the U.S.